Very, very good. Give it a watch, currently on Netflix. Never expected it, but this anime has to be one of my favorite. It was hilarious, and a great love story. I was surprised by how clean it was, despite being moderately close to a harem-style anime. Quite tasteful, focused on humor, but keeps the romance. I love this anime so much, I've probably watched it at least 20 times! The humor is one point, the animation is smooth and aesthetic af, and every character is so wonderfully unique that you can't help but love them all! (Even Lunar lol) Honestly this anime is amazing and I def recommend it. Member 4 - Rated 4 out of 5 stars. Member 6 - Rated 4 out of 5 stars. Overall rating: 3.8 out of 5 stars. Club chose watch the next episode rather than move on to the next series on the list. This is one of my favorite anime! You dont expect it, but the humor pulls you in, and makes you connect with the characters, while the storyline makes you stay and root for them! 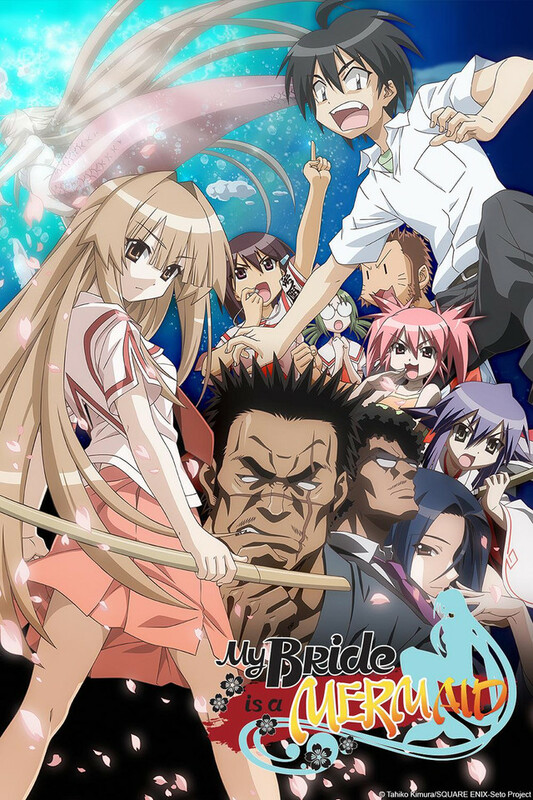 It's not exactly a long anime, but it leaves you really wishing there was more. The animation on this is all over the place which made it really hard to concentrate on the show. Most of the supporting characters are pretty annoying and the male lead in general isn't really unlikable. Probably best if you stayed away from this anime.